tam: High Rise Apartment Study. 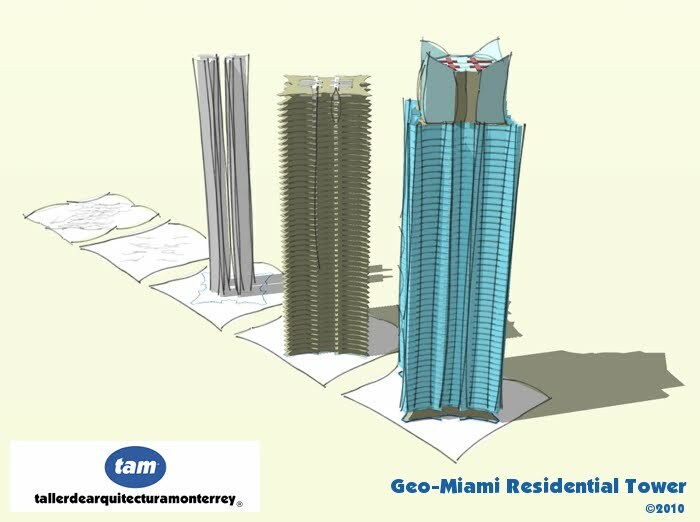 The recent stagnation in luxury apartments in mainland cities in the USA and other countries like Panama, Mexico and the Caribbean islands is contrasted by a steady demand for these types of buildings in coastal areas; two years ago when the market had a positive outlook I drafted a proposal for an energy recycling complex of two towers, one smaller than the other (the tallest being 36 stories) a sketch of which you see above. 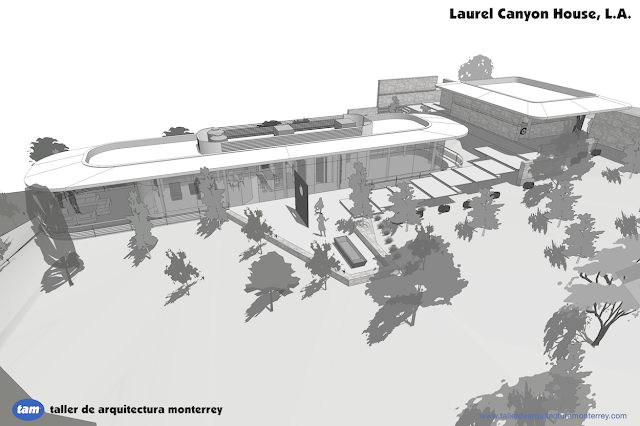 Time delays and budget changes kept this project shelved, but I wanted to show that the ideas preceding the design are still valid today and even more so in fact, where energy and access to clean water and storage is an ever growing concern. The core ideas were: A) to have a set of apartments that were powered partially or totally (depending on the season) on wind generated electricity and solar energy (the 'tips' on each corner of the upper structure containing wind generators, solar cells and electrical distribution systems) , B) to use captured rain water for auxiliary supply and cooling, and C) use as much as possible minimum maintenance, long lasting, locally sourced, recycled when possible materials to comply with LEED Gold standards.